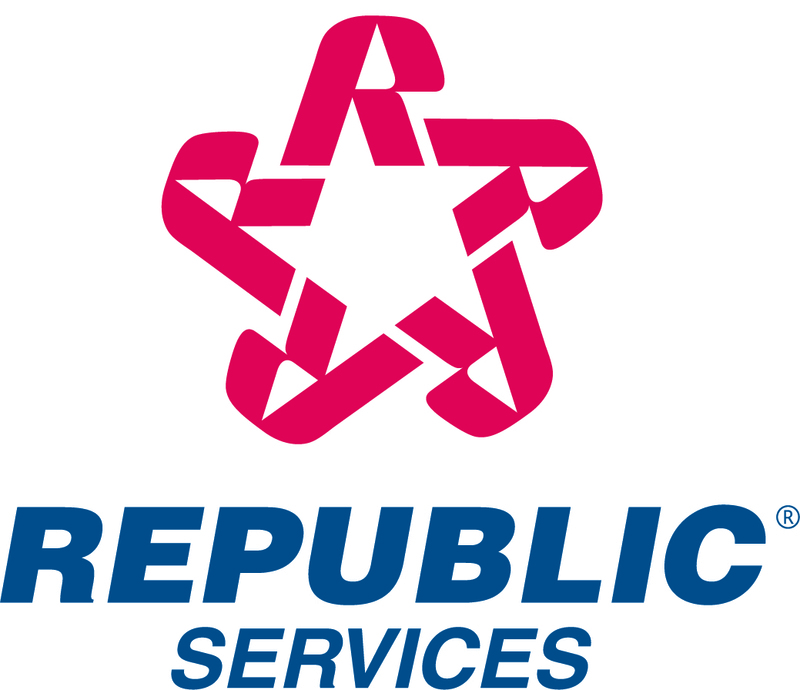 Republic Services, Inc. announced today that it will offer to exchange, in a private placement, new unsecured Republic Services notes for up to $275,000,000 of its outstanding 7-1/8% notes due May 15, 2009. The new notes will mature on March 15, 2035 and will bear interest at a rate per annum equal to the sum of: (a) the bid-side yield on the 5.375% U.S. Treasury Note due February 15, 2031, calculated on the second business day prior to the expiration date of the exchange offer, and (b) 130 basis points. If more than $275,000,000 in aggregate principal amount of old notes are validly tendered and not withdrawn, the Company will accept tenders from holders on a pro rata basis. The exchange offer will expire at 12:00 midnight, New York City time, on March 16, 2005, unless extended. The exchange offer is subject to customary conditions, including the valid tender of at least $175,000,000 aggregate principal amount of old notes prior to the expiration date. Pursuant to the terms of the exchange offer, Republic Services is offering for each $1,000 principal amount of old notes tendered and accepted for payment in the exchange offer, $1,000 principal amount of new notes and a cash amount equal to the total exchange price for the old notes tendered less $1,000. The total exchange price for the old notes is equal to the price per $1,000 principal amount of the old notes intended to result in a yield to maturity on the settlement date equal to the sum of: (a) the bid-side yield on the 3.875% U.S. Treasury Note due May 15, 2009, calculated on the second business day prior to the expiration date and (b) 35 basis points. The total exchange price includes an early participation payment of $12.50 in cash per $1,000 principal amount of the old notes tendered, which will be paid only to holders who validly tender their old notes and do not withdraw their tenders on or prior to 5 p.m., New York City time, on March 2, 2005. The exchange offer is only being made inside the United States to investors who are qualified institutional buyers or institutional accredited investors and outside the United States to non-U.S. persons. The new notes have not been registered under the Securities Act of 1933, as amended, and may not be offered or sold in the United States absent registration or an applicable exemption from registration requirements. As part of the exchange offer, the Company will enter into a registration rights agreement, under which the new notes will be exchangeable for substantially identical notes that are registered under the Securities Act and freely transferable. This press release shall not constitute an offer to sell or the solicitation of an offer to buy any security and shall not constitute an offer, solicitation or sale in any jurisdiction in which such offering, solicitation or sale would be unlawful. Republic Services, Inc. is a leading provider of solid waste collection, transfer and disposal services in the United States. The Company's operating units are focused on providing solid waste services for commercial, industrial, municipal and residential customers. Certain statements and information included herein constitute "forward- looking statements" within the meaning of the Federal Private Securities Litigation Reform Act of 1995. Such forward-looking statements involve known and unknown risks, uncertainties and other factors which may cause the actual results, performance, or achievements of the Company to be materially different from any future results, performance, or achievements expressed or implied, in or by such forward-looking statements. Such factors include, among other things, whether the Company's estimates and assumptions concerning its selected balance sheet accounts, final capping, closure, post-closure and remediation costs, available airspace, and projected costs and expenses related to the Company's landfills and property and equipment, and labor, fuel rates and economic and inflationary trends, turn out to be correct or appropriate, and various factors that will impact the actual business and financial performance of the Company such as competition and demand for services in the solid waste industry; the Company's ability to manage growth; compliance with, and future changes in, environmental regulations; the Company's ability to obtain approval from regulatory agencies in connection with expansions at the Company's landfills; the ability to obtain financing on acceptable terms to finance the Company's operations and growth strategy and for the Company to operate within the limitations imposed by financing arrangements; the ability of the Company to repurchase common stock at prices that are accretive to earnings per share; the Company's dependence on key personnel; general economic and market conditions including, but not limited to, inflation and changes in commodity pricing, fuel, labor and other variable costs that are generally not within the control of the Company; dependence on large, long-term collection contracts; dependence on acquisitions for growth; risks associated with undisclosed liabilities of acquired businesses; risks associated with pending legal proceedings; and other factors contained in the Company's filings with the Securities and Exchange Commission. +1-954-769-3591, both of Republic Services, Inc.